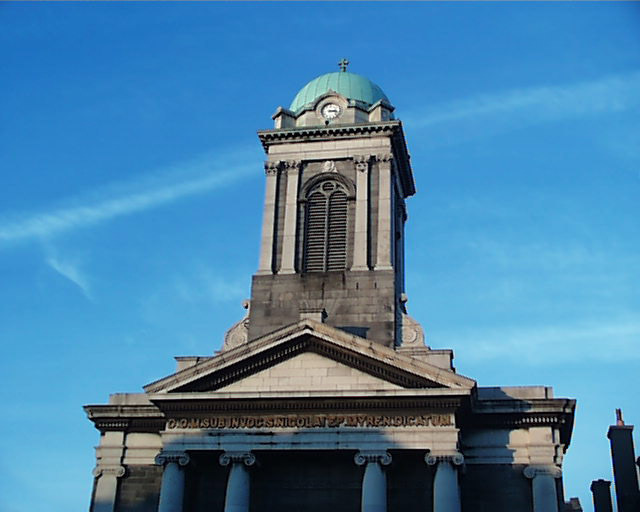 Built between 1829-34 by John Leeson with later work by John Bourke in 1858, St Nicholas is the only church in the city to preserve its two sets of communion rails intact. 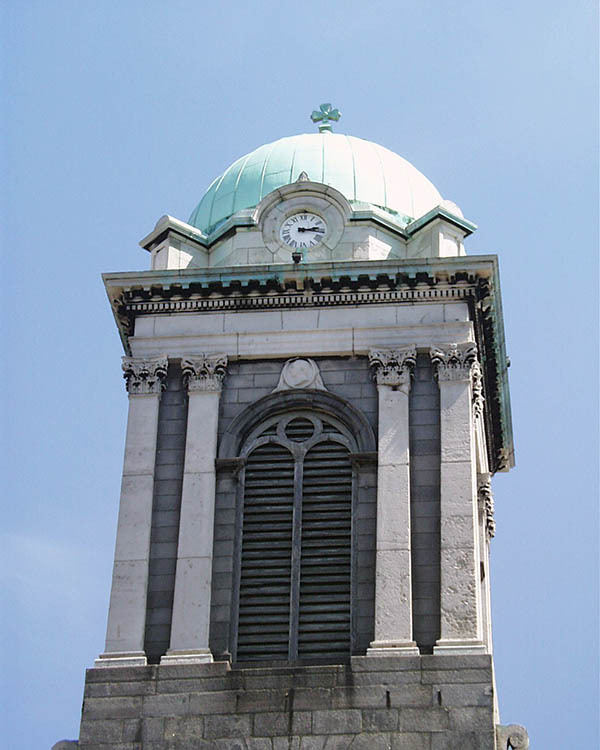 Originally the church provided a much more stern aspect to the street as its portico and campanile were added in 1860 by John Bourke to complete Leeson’s concept, although with changes to the details. The church is set back from the street facing onto a small courtyard entered by some simple gates. The internal space of the church is dominated by the ‘Pieta’ by John Hogan above an neoclassical Italian altar flanked by angels. It is believed he may also have been responsible for the side altars. W.H. Byrne, during his alterations of the church interior in the late 1880s-early 1890s, closed up the windows around the ‘pieta’ for dramatic effect. There is also stained glass from the Harry Clarke Studio dating from 1928 and statuary by John Smith.